We've always been fans and proponents of the less fancy tableware. For instance, we like how the Italians share their vino in stemless tumblers. We also like the the idea of wine being decanted in something a little less sophisticated...like a water picture. Of course, we can appreciate the finer things and have ourselves posted some fairly fancy and upscale products when it comes to tableware. What we're getting at, is that every occasion doesn't call for your $400 crystal decanter. Take for example the wine cooler shown above. In terms of materials it doesn't get much simpler than this, and is the perfect vessel for your select vintage during the warmer months. 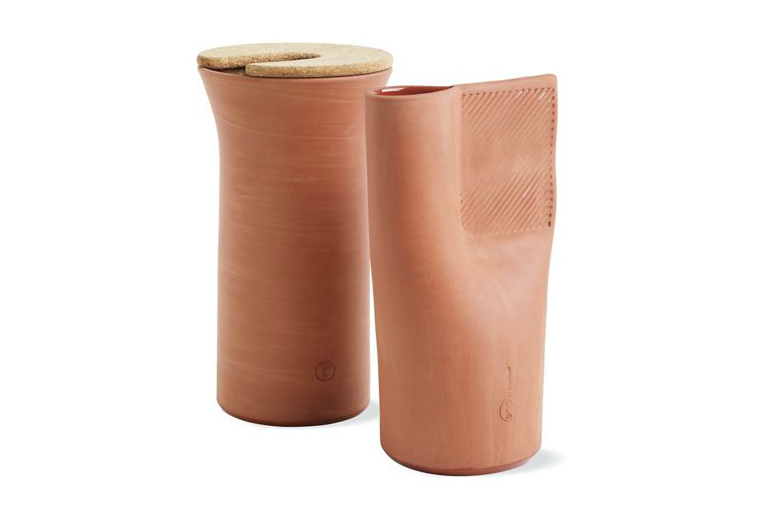 The special thing about it is that after a short soak in cool water, the terracotta will keep the wine inside at a cooler temperature using the process of slow evaporation. It's actually a centuries old technique for chilling water. We think that it is more modern than ever. You can get yourself one here. I had no idea about Terracotta Wine Cooler before today! It is really an impressive reading for me. What is your best wine brand?